Gear4 SoundOrb Aurora review | What Hi-Fi? 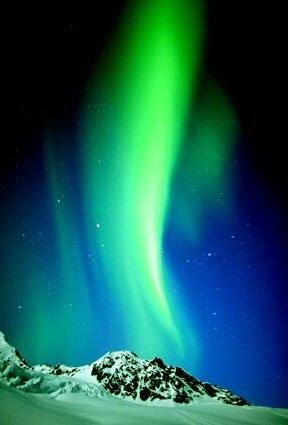 Have you ever wanted the Aurora Borealis – aka the Northern Lights – in your front room? 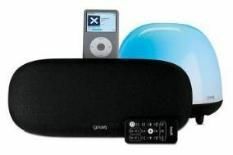 Well, now you can (sort of) in the shape of Gear 4's intriguing SoundOrb Aurora iPod dock and wireless subwoofer combo. The Aurora is the UK-based company's first stab at a higher-end dock system. Aesthetically, the focus is very much on the 4in, downward-firing sub. Bearing a passing resemblance to Eve from Wall-E, the curvy unit doubles as an ambient light, with a full array of constantly changing colours. Sonically, the Aurora presents a capable midrange. But we found the top-end too thin, while bass is a shapeless mass that appears to be coming from the next room. There's also a lack of detailing, timing and coherence to music that makes this combo a taxing listen. Of the three sound modes, 'stereo' seems to work best, with '3D' and 'wide' lacking oomph. Usability also leaves something to be desired, with the dock's volume control irritatingly easy to alter when setting up your iPod. It's also worth noting that the 'Works with iPhone'-certified Aurora can only be used with Apple products. It might be £50 less than B&W's Zeppelin Mini, but in terms of sound the SoundOrb Aurora system is light years behind.